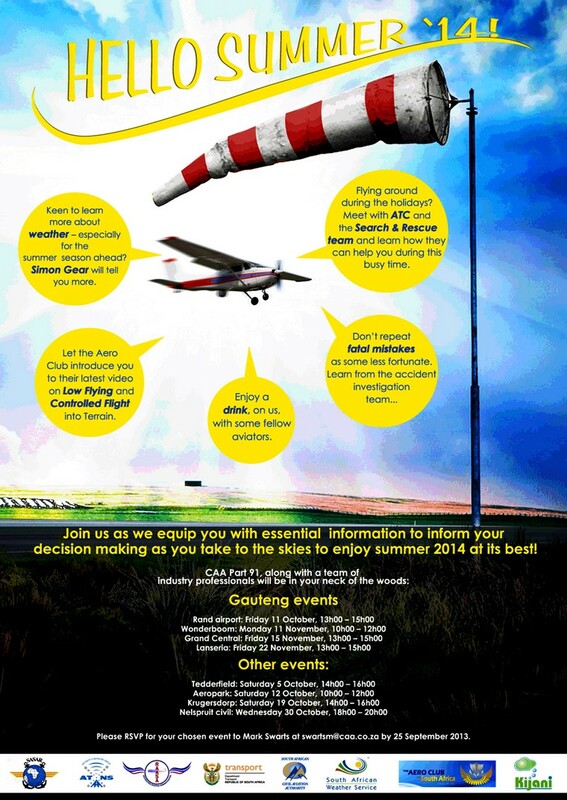 A year has gone by and it is time again for the annual George Brink Memorial Fly In at "The Coves". So come over to Coves and enjoy our special place, have breakfast with us and talk aviation. RWY: 18/36 Field Elevation: 3840 ft. 1km long. Overhead at 5800ft. Circuit to the West and land 18 if possible. 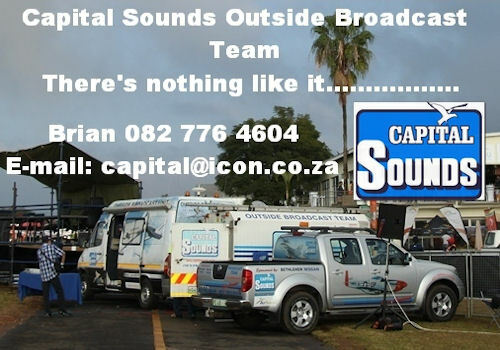 Booking: Send an e-mail to book at admin.woods@icon.co.za. Guest: Marc Clulow joined the SAAF straight out of school and was trained, first, on Harvard's and then Impala jets. In 1979, at age 22, he was selected for the Mirage III training course. In 1980 he was posted to 1 Squadron, flying Mirage F1s fighter jets. Mark flew many operational sorties during the Angolan war, including operation 'Sceptic'. In 1981 he left the SAAF, having flown over 1 000 military hours. Mark then joined Price Waterhouse as an articled clerk and qualified as a Chartered Accountant, CA (SA). He didn't fly, as a pilot, for 27 years. In 2009 he started flying light sports aircraft. He is now a part time instructor flying from Circus Airfield. Mark is a member of EAA Chapter 322. 24 September - flights from 10:00. ZS-NTE is turning 70 on this day. We depart from Hangar 5 at Rand Airport, take off and fly in a westerly direction, passing to the south of Johannesburg CBD. We then turn above Gold Reef City and head in a northerly direction with Soccer City on our left. We cross over Northcliff Ridge and then turn east, to the south of North Gate Dome, and pass to the south of Monte Casino. Then we turn south, opposite Megawatt Park, passing east of Sandton City and across Wanderers and Ellis Park before returning to Rand Airport. The flight will only take place provided ALL seats are sold. 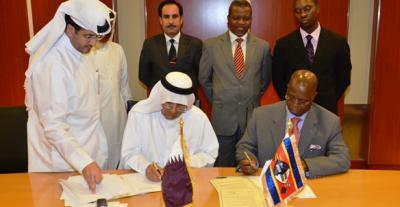 Yesterday, the state of Qatar represented by Civil Aviation Authority (QCAA) has initialed an "open" Air Services Agreement (ASA) and has signed a Memorandum of Understanding (MOU) with the Kingdom of Swaziland within QCAA site in Doha. The ASA and MOU reached to include air traffic rights for the two countries as to allow the two national carriers to operate unlimited number of passenger & Cargo flights between the two countries. The agreement allows for the operation of any capacities, numbers of frequencies and types of aircraft, by the Designated Airlines of each country in any type of service (passenger or cargo) on the routes between Swaziland and Qatar. The agreement also includes the practice of full fifth freedom traffic rights on any intermediate/beyond points on the middle points & the beyond points to other countries without any restriction & using the code shares between the two airlines in terms of this agreement. The agreement was signed by Mr. / Ibrahim Abdul Qadir Al Genahy, Director of Air Safety Department of the Qatar Civil Aviation Authority (QCAA) and HE. / Felzwe Dlamini, Ambassador of the Kingdom of Swaziland in Qatar& attended by Mr./ Solomon Dobie, Director General of Swaziland Civil Aviation Authority (SCAA). ?Eurofighter Typhoon has now achieved more than 200,000 flying hours since the entry-into-service of its worldwide fleet. 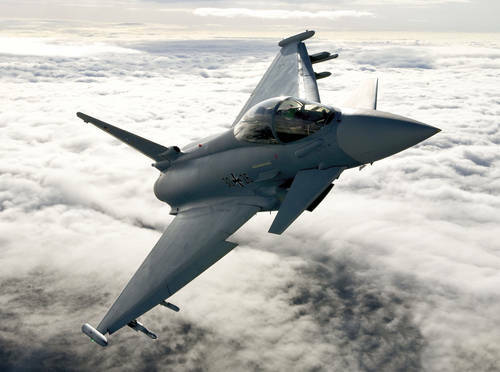 Eurofighter Jagdflugzeug GmbH confirmed the milestone today adding that, with 719 aircraft on contract, 571 aircraft ordered and 378 aircraft delivered, the programme has �never looked stronger�. 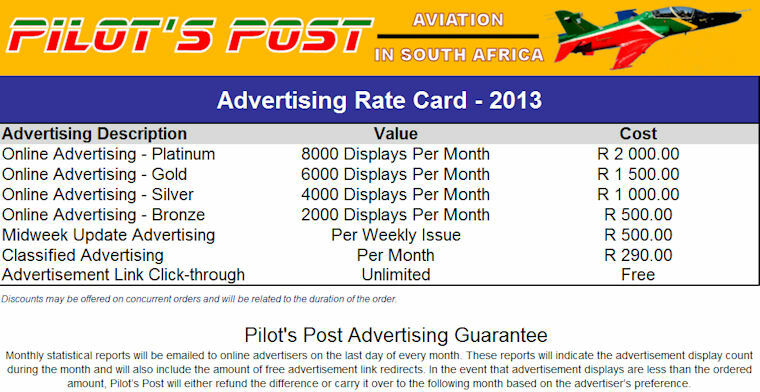 The first 5,000 flying hours were achieved in November 2005. 10,000 hours came in August 2006 and 20,000 in May 2007. 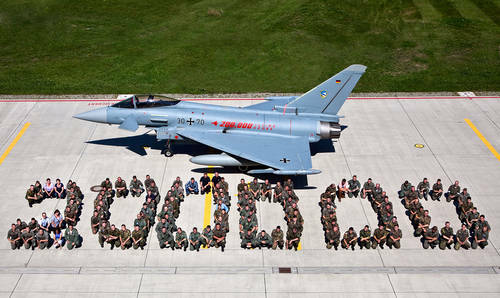 By August 2008, the Eurofighter Typhoon fleet had surpassed 50,000 hours and 100,000 flying hours was reached in January 2011. 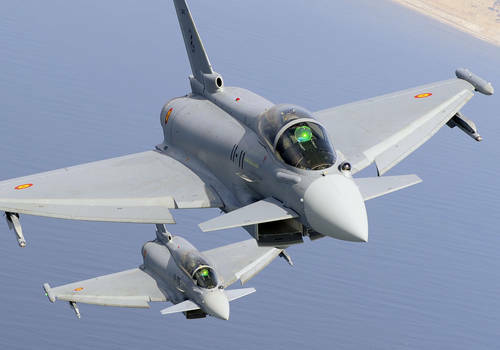 In the course of these flying hours, Eurofighter has demonstrated 100 per cent availability in numerous international deployments including: Alaska; Malaysia; the United Arab Emirates; the USA; and India. The global Eurofighter fleet now comprises 20 operating units with locations in Europe, the South Atlantic and the Middle East. Specifically there are: 7 units in the UK (4 in Coningsby, 2 in Leuchars and 1 in Mount Pleasant, Falkland Islands); 5 in Italy (2 in Grosseto, 2 in Gioia del Colle, 1 in Trapani); 3 in Germany (Laage, Neuburg and N�rvenich), as well as 3 in Spain (2 in Mor�n, 1 in Albacete) and one each in Austria (Zeltweg) and in the Kingdom of Saudi Arabia - all of them have contributed to the 200,000 flying hour total. AgustaWestland, a Finmeccanica company, and Mitsui Bussan Aerospace are pleased to announce that Japan's leading newspaper 'The Asahi Shimbun' has placed an order for one AW169 4.5 ton class helicopter. This aircraft, which adds to a GrandNew light twin helicopter already in service with the same customer, will be used to perform Press and Electronic News Gathering (ENG) missions in Japan. This AW169 is expected to be delivered in 2015 and enter service in early 2016. This contract marks the entrance of the AW169 into the world ENG market and expands the success of this all new model in Japan. It also further increases the presence of state-of-the-art AgustaWestland helicopter models used by prime Japanese ENG operators, which also includes the GrandNew and the AW139 intermediate twin engine helicopter. Asahi Shimbun's AW169 will be equipped with gyrostabilized camera. Andrew Symonds, President, AgustaWestland Japan said �We are delighted to have such a leading operator as the first customer for an ENG-configured AW169. This selection testifies market satisfaction with our customized solutions for the task and demonstrates the AW169, thanks to its outstanding characteristics in terms of cabin space and comfort, performance, safety and technology, is perfectly suited for this mission. We are confident the first new generation helicopter in its class in decades will prove a tremendous addition to Asahi Shimbun's assets and capabilities.� A versatile, new generation twin engine light intermediate category helicopter, the 4.5 tonne AW169 has been designed in response to the growing market demand for an aircraft that delivers high performance, meets all the latest safety standards and has multi-role capabilities. The AW169 incorporates several new technology features in the rotor system, engines, avionics, transmission and electric power generation and distribution systems. 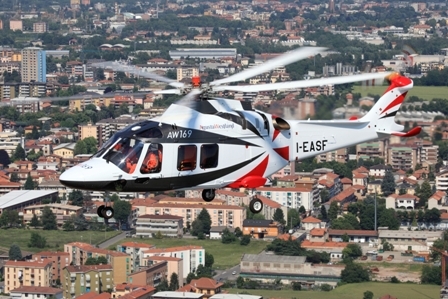 The AW169 is part of the AgustaWestland family of new generation helicopters that includes the AW139 and AW189 models, which possess the same high performance flight characteristics and safety features as well as sharing a common cockpit layout, design philosophy and maintenance/training concept. This commonality will allow more effective operations for customers operating helicopter fleets across the 4 to 8.5 tonne categories. Over 80 AW169 helicopters have now been ordered in more than 40 countries by almost 20 customers worldwide and for a wide range of missions including corporate transport, air ambulance, law enforcement, utility, ENG and offshore transport. With four prototypes already flying and over 400 flight hours logged so far, the AW169 is on schedule to achieve certification in 2014. The Asahi Shimbun, which was first published in 1879, is one of Japan's leading newspapers. Headquartered in Tokyo, The Asahi Shimbun has an extensive news-gathering network that provides seamless coverage every day. In Japan, there are general bureaus and bureaus in all 47 prefectures; with an additional 5 general bureaus and 28 bureaus in place around the world. All in all, there are 321 domestic and global news-gathering bases. The Asahi Shimbun owns one jet and four helicopters. The KongJing-2000 (KJ-2000) is the first airborne warning and control system (AWACS) in service with the PLA Air Force (PLAAF), with four examples commissioned between 2006~07. The aircraft was based on the airframe of the Russian-made A-50/IL-76MD, but outfitted with a Chinese indigenous electronically steered phased-array (ESA) radar developed by Nanjing Research Institute of Electronic Technology (also known as 14 Institute). Xi'an Aircraft Corporation (XAC) was responsible for converting existing IL-76MD transport jets for the AWACS role. The KJ-2000 was a direct result of the failed A-50I Phalcon Programme. China started a three-way talk with Israel and Russia in 1994 for a possible purchase of advanced AWACS aircraft. Under the proposal, Russia would provide four Beriev A-50 Mainstay airframes, which were to be fitted with the Phalcon airborne early warning (AEW) radar and other C3I system developed by Israeli Aircraft Industries Ltd (IAI). 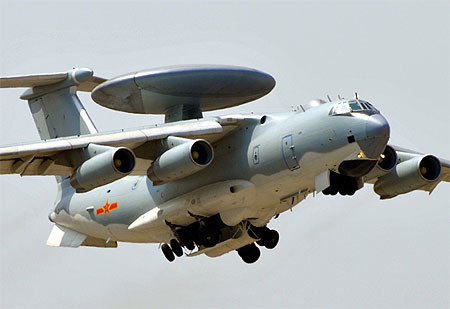 In May 1997, China, Israel, and Russia reached an agreement to supply one such AWACS aircraft under the designation A-50I for $250 million, with the option of three more for a total cost of $1 billion. In October 1999, Russia delivered the first A-50 aircraft to Israel for the installation of the Phalcon AEW radar system. By May 2000, Israel had nearly completed the system installation. However, the Phalcon deal became an increasingly controversial issue between the United States and Israel. In 2000, the Clinton Administration voiced stronger objections to the sale and urged Israel to cancel the sale of the Phalcon, saying it is a system comparable to the U.S. AWACS and could collect intelligence and guide aircraft from 250 miles away. After some intensive talks, the Israeli government finally cancelled the deal with China in July 2000. The fallout of the Phalcon deal was a major blow for China's military modernisation programme. China reacted to the setback by starting a domestic programme to develop its own airborne early warning radar and relevant C3I systems. The Israeli-made Phalcon radar and other onboard electronic systems were retrieved from the unfinished A-50I, and the airframe was handed to China via Russia in 2002. Modifications on the airframe began in late 2002 to install the Chinese-made airborne radar system at XAC. A total of four planes were produced, with one based on the A-50I airframe (which can be identified by its nose-mounted aerial refuelling probe), and other three being converted using existing IL-76MD transports in service with the PLAAF. The conversation work was carried out by the XAC. The AWACS aircraft designated KJ-2000 made its first flight in November 2003. Following some extensive flight testing at China Flight Test Establishment (CFTE) in Yanliang, Shaanxi Province and radar system testing at an airbase near Nanjing, Jiangsu Province, the aircraft entered operational service between 2006~07. A total of four examples (30071, 30072, 30073, and 30074) are being operated by the PLAAF 26th Air Division based in the eastern Zhejiang province near the Taiwan Strait. The KJ-2000 has five flight crew and possibly 10~15 mission crew. The aircraft carries out patrol missions at an altitude of 5,000~10,000m. The maximum flight range of the aircraft is 5,000km and the flight endurance is 7 hours 40 minutes. At a range of 2,000km, the aircraft can remain on patrol for up to 1 hour 25 minutes. The A-50 airframe, developed and manufactured by the Beriev Aircraft Research and Engineering Complex Joint Stock Company based at Taganrog in the Rostov Region of Russia, was derived from the Ilyushin IL-76 jet transport aircraft, distinguished by the large, non-rotate radome containing the phased-array radar antenna; the solid nose replacing the original 'glass-in' nose, and a large number of electronic system antennas on the front section of the fuselage. The primary radar system housed in the radome is an three-sided electronically steered phased-array (ESA) developed by Nanjing-based 14 institute. Unlike the Russian A-50 or U.S. E-3, which rotate their rotodomes to give a 360 degree coverage, the KJ-2000's radar antenna does not rotate. Instead, three ESA antenna modules are placed in a triangular configuration inside the round radome to provide a 360 degree coverage. The Chinese-made radar system could be similar in design to the IAI Phalcon, but may not be as capable as the latter. The Phalcon system could track up to 60~100 targets at the same time and guide a dozen fighters in all-weather, day and night operations.